My name is Márcia Honora. 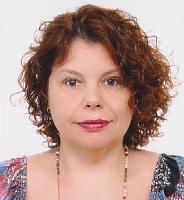 I am a Brazilian speech therapist and a doctoral student in the Post-Graduation Program in Education and Health in Childhood and Adolescence at the Federal University of São Paulo (UNIFESP), under the supervision of Professor Sueli Salles Fidalgo, carrying out a research called Critical Research of Collaboration applied in an inclusive classroom, which is now in its first year of development. In the present study, I investigate how the relations between students and teachers are organized in an inclusive educational context, as well as which are the cognitive and emotional reactions that arise from the interactions that take place, besides observing how the teacher conducts this educational inclusion process, concerning values, morality and respect for differences, using for this end the methodology of Critical Research of Collaboration and the concepts developed by Vygotsky, which are the references that pervade my research. Since I was an undergraduate student, I have been quite interested in the Vygotskyan Theory due to the way it addresses different situations in the social context, emphasizing relations, and in his broad studies on disabled children. Special Education in the Inclusive Education perspective that takes place in Brazil nowadays is still based on a clinical and biological approach, where the disability is what determines a disabled child, imposing several limits and boundaries. Therefore, schools will pay little attention to the capacities, advantages or relations established in the space where the interaction of disabled and non-disabled students occur. It is the lack of whatever it is that the student does not have that draws attention the most in schools nowadays. For Vygotsky, the development of a disabled child should not be structured in the limitations caused by the disability. On the contrary, it is by facing these boundaries that the learning-developmental process will be challenged and overcome. For these reasons, I am greatly interested in taking part in the ISCAR Summer University, in order to expand the concepts that can, to a large extent, help to modify the view on inclusive education in Brazil. In other words, I believe that taking part in this moment of shared experiences and knowledge in the Summer University would be a wonderful opportunity for me to discuss my work with renowned teachers, get to know doctoral students from other countries and have an incredible “perezhivanie”.